"Pack" redirects here. For more uses, see Pack (disambiguation). The Pack Mouse is a breed of mouse found in the Tribal Isles region. They are known to drop Seashells in Elub Shore. 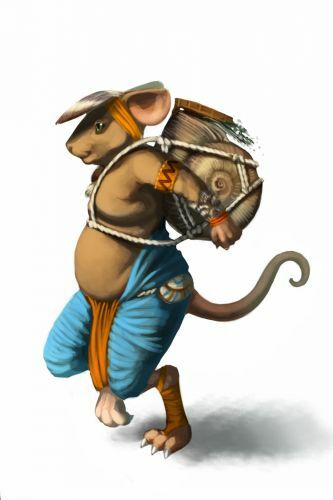 Able to carry several times their weight, the Elub Pack mouse rummages beaches looking for supplies for their tribe. Despite their grand stature, the Pack mouse is incredibly quick, even while carrying several kilograms of water on their back. Pack mice have no specific preference for any kind of cheese. This page was last edited on 9 April 2017, at 01:34.